There’s no doubt about it, 2017 was one for the books! 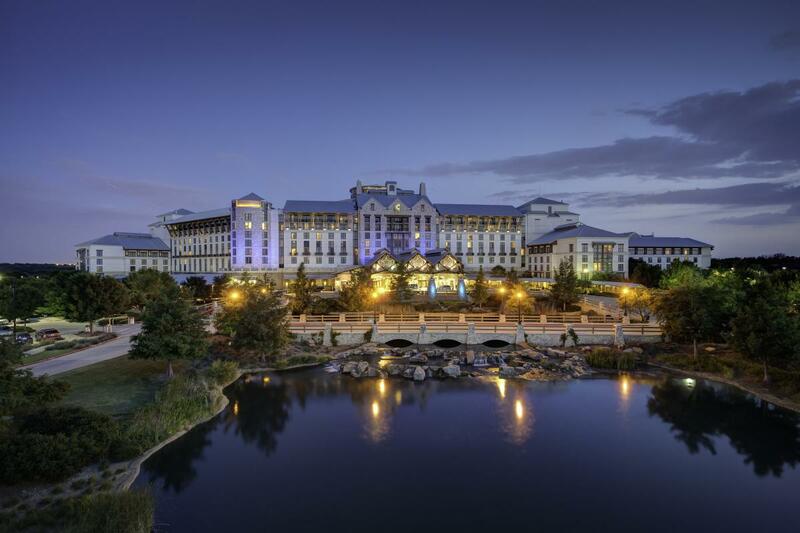 Now that the holidays have passed, the decorations are safely tucked away and you have a moment to reflect, it’s time to focus on the fun events and activities that await you in Grapevine, Texas. 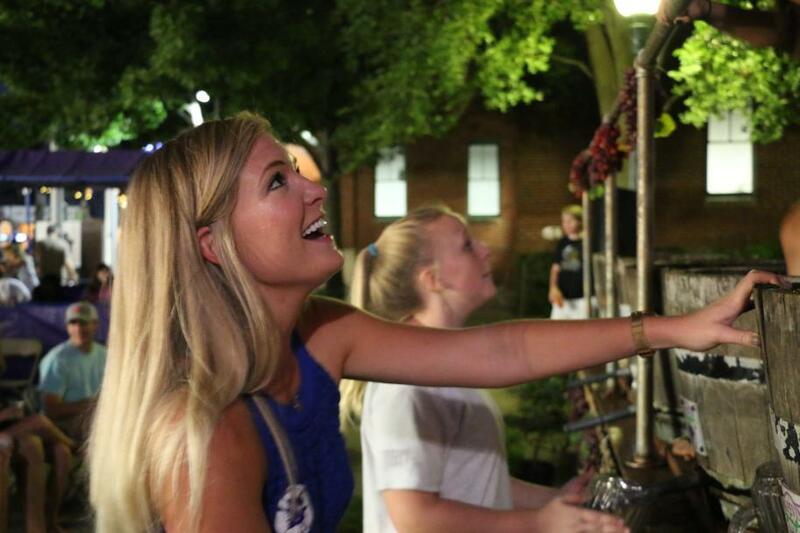 There is tons, and we means tons, to look forward to in Grapevine in 2018, Day Out With Thomas™, Blessing of the Vines and New Vintage Wine & Gallery Trail, 34th Annual Main Street Fest, SummerBlast and the 32nd Annual GrapeFest®, just to name a few. We understand the temptations of mouthwatering BBQ and TexMex. While super tasty, we know these are healthier options out there. Our recommendations: wine & chocolate. It’s been medically proven that red wine is good for the heart. 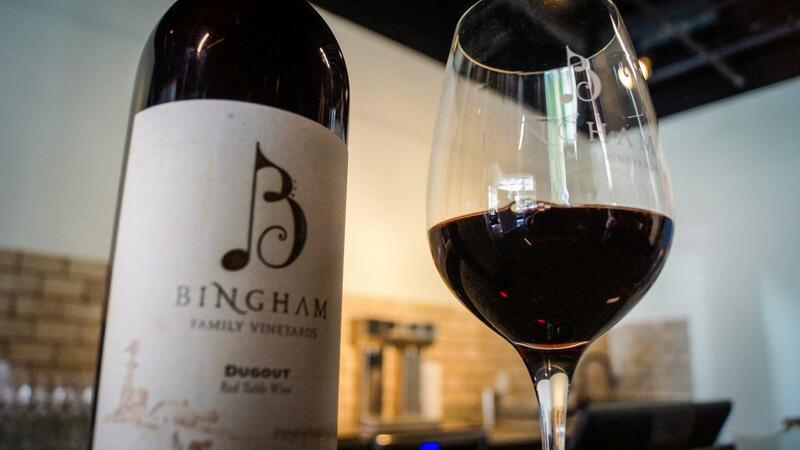 Explore Texas’s only Urban Wine Trail featuring ten winery tasting rooms. Chocolate also has proven medical benefits. Don’t take our word for it, ask Dr. Sue, the practicing physician that makes healthy, all natural dark chocolate at Dr. Sue’s Chocolate. For a more artisanal flare, try the new Chocolate Moonshine Co., who offer an array of sweet treats at only 100 calories a bar. 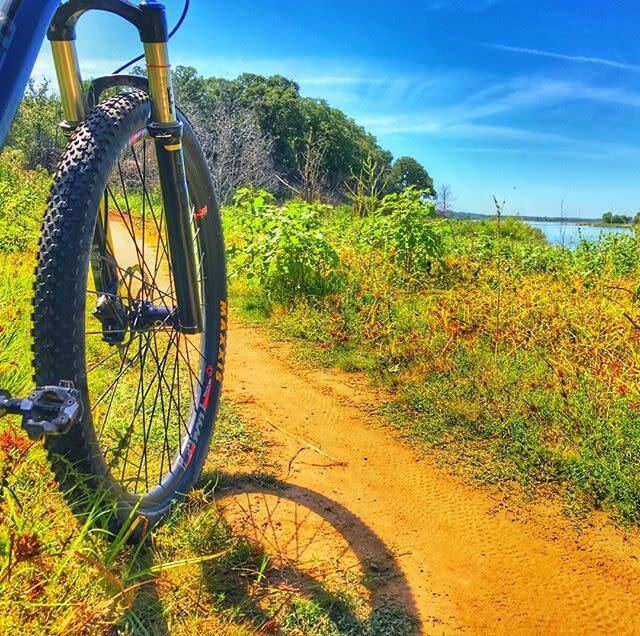 Hike or bike the almost 22 miles of trails including paved and natural trails at Lake Grapevine. Looking to make a splash? Paddleboard or surf Lake Grapevine with DFW Surf. 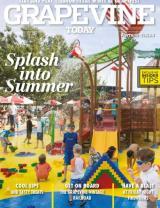 Circle your calendars now and plan to spend the day together at Grapevine’s two biggest festivals. Main Street Fest (May 18,19 and 20) is a craft brew festival that takes place on Historic Main Street in Downtown Grapevine. 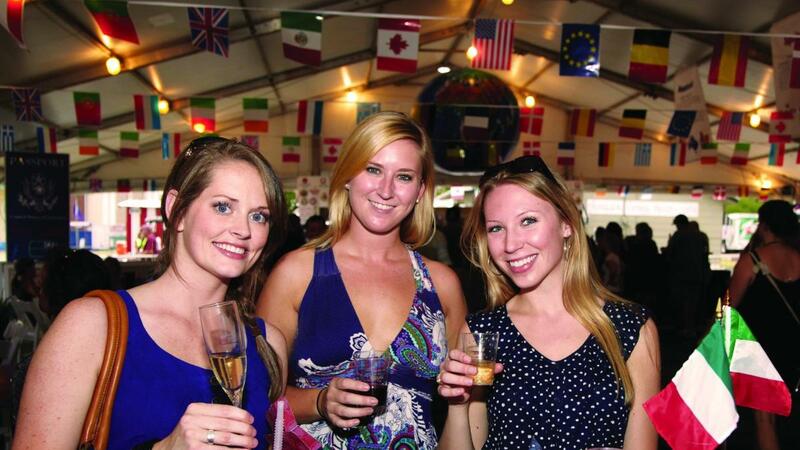 GrapeFest (September 13, 14, 15 and 16) is all about the vino, bringing hundreds of wines from around the world to one place. Did we mention both of these festivals are appropriate for all ages and have been around for 30+ years? Plan to make it an annual tradition with family and friends! Stroll Historic Main Street which offers more than 80 locally-owned shops, boutiques, art galleries and restaurants. Many restaurants have outdoor seating. For an amazing outdoor patio try Esparza’s. 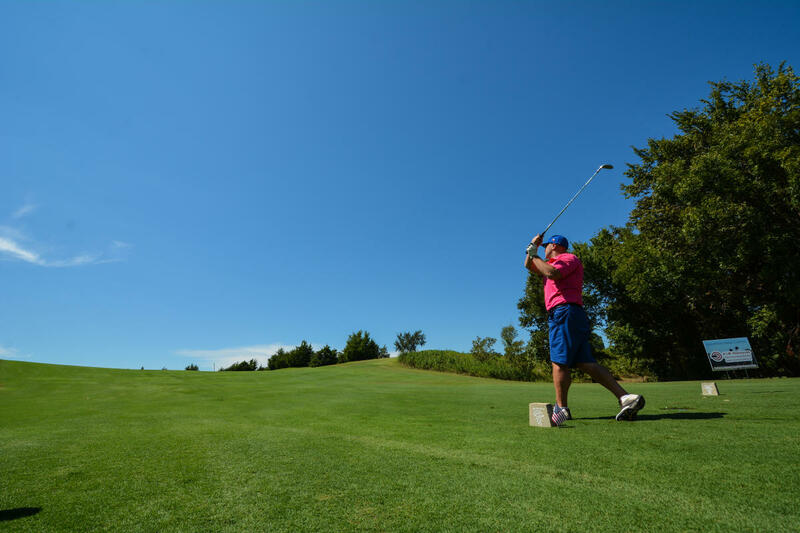 Enjoy the blooms at the Botanical Gardens or play a round at one of the championship golf courses like Cowboys Golf Club. 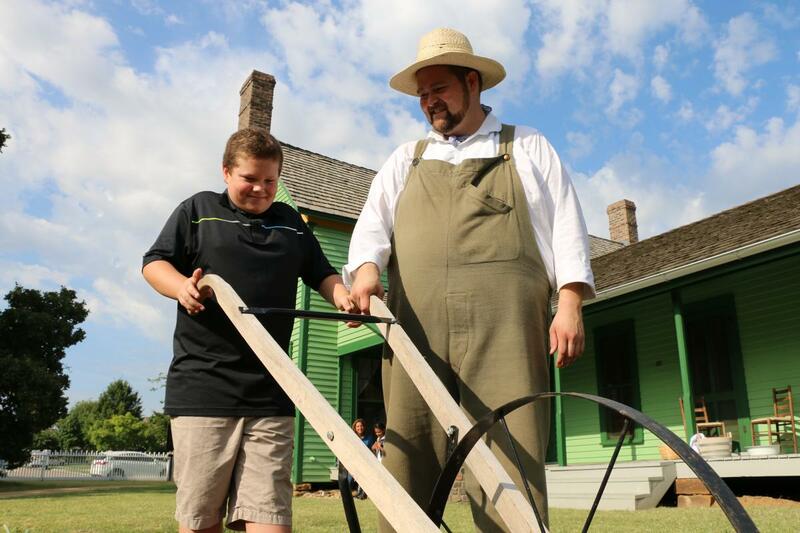 Want to learn how to make cheese, soap, old fashioned candy or butcher and cure a hog? Nash Farm offers monthly heritage workshops to help you master new skills while learning how early settlers of the Grape Vine Prairie survived. Feeling really creative? Take a class at Vetro Glassblowing Studio to create a one of a kind ornament, heart, flower, stemless wineglass, beer stein or other custom creation. Save time, money and reduce your carbon footprint when you use the Grapevine Visitors Shuttle. The Grapevine Visitors Shuttle takes passengers to restaurants, shopping and attractions from local hotels throughout the day, seven days a week. Day passes are $5 per individual or $10 for families. We can’t technically teach you a new language but we can give you a few essential phrases you will help you sound like a local Texan in Grapevine. Howdy- You’ll hear this friendly greeting everywhere in cowboy country, especially if you are aboard the Grapevine Vintage Railroad on your way to the Historic Stockyards. Tuckered out- A great way to describe the exhaustion the kiddos will feel after they have been gardening, riding tractors and running around Nash Farm all day long at Spring Into Nash. The world is full of new experiences and adventures waiting for you! Whether you come for a weekend to experience one of our larger than life festivals, are celebrating a special occasion, or just want to see what all the buzz is about, we encourage you to come experience all that Grapevine has to offer. Find your perfect accommodations here. This is no small feat, but we believe in you. So does a seven foot tall, 800 pound unicorn. Imagine, a massive bronze unicorn statue commissioned by the City of Grapevine flies 50 feet above the sidewalk in Historic Downtown Grapevine. 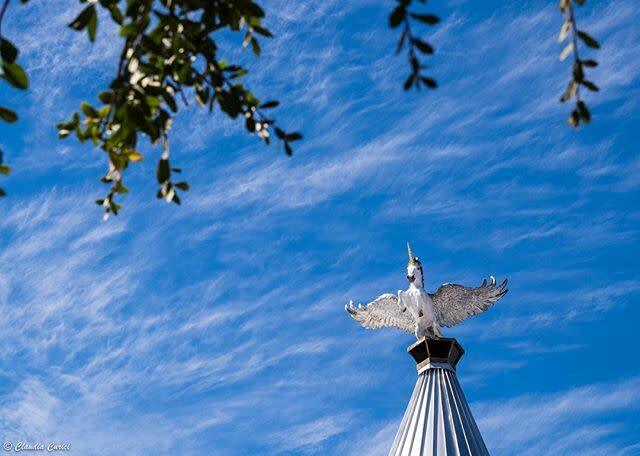 The wings spread to give flight to your imagination. Imagine symbolizes action, dreams and wishes. Grapevine is truly a city of imagination where dreams come true. Go out and make 2018 a year to remember forever, we might even see you out there (eating a taco on the porch at Esparza’s). Here’s to a new near and a new you!